The U.S. indices have kicked off the session deep in the red, led by opening ten-minute losses in the DJIA (-200), S&P 500 SPX (-15) and NASDAQ (-25). 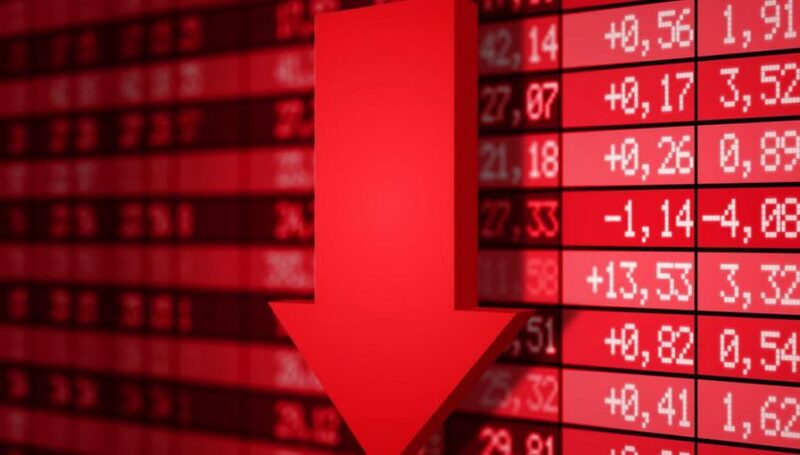 Traders took a bearish stance on equities, following a weak overnight session in equities futures products. The selloff is being attributed to a group of new E.U. tariff threats coming from the Trump administration. However, with Wednesday’s FOMC Minutes rapidly approaching, one has to wonder if the opening plunge is also a product of FED angst. Today’s U.S. pre-market brought the release of a few peripheral economic metrics. The NFIB Business Optimism Index (March) outperformed expectations. In addition, the Redbook Index (April 1) beat industry estimates. On the surface, these numbers suggest business conditions remain positive in the U.S. In most cases, tariff talk has a substantial impact on the tech sector due to its dependence on international cooperation. This hasn’t been the case today, with the NASDAQ faring a bit better than the S&P 500 and DJIA amid the broad-based equities selloff. Overview: The NASDAQ is currently in the red, but the daily bullish trend is still very much alive. At this point, prices remain above the 7600.00 level. There has not been a meaningful retracement since the plunge of 22 March. 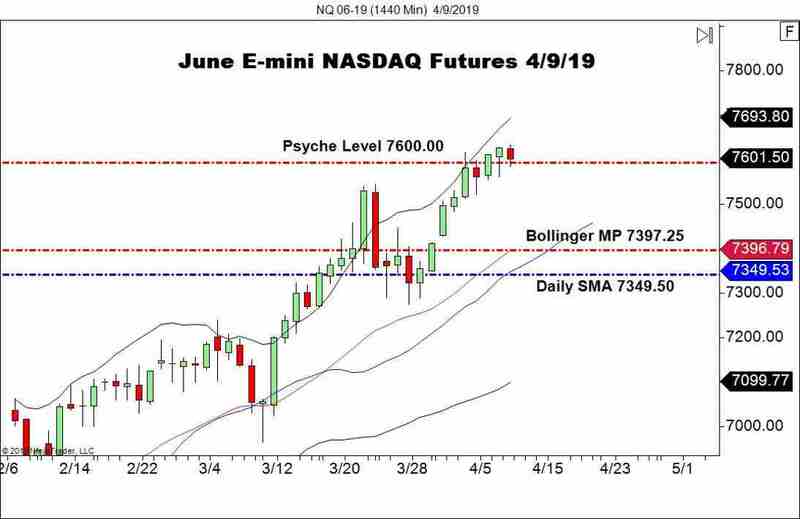 While the June E-mini NASDAQ has become compressed around the 7600.00 area, a long daily bias is still appropriate. Later today, the IBD/TIPP Economic Optimism Index and JOLTS Job Openings are due for release. In the even these numbers come in strong, the U.S. indices may be enticed to reverse the early negative price action.